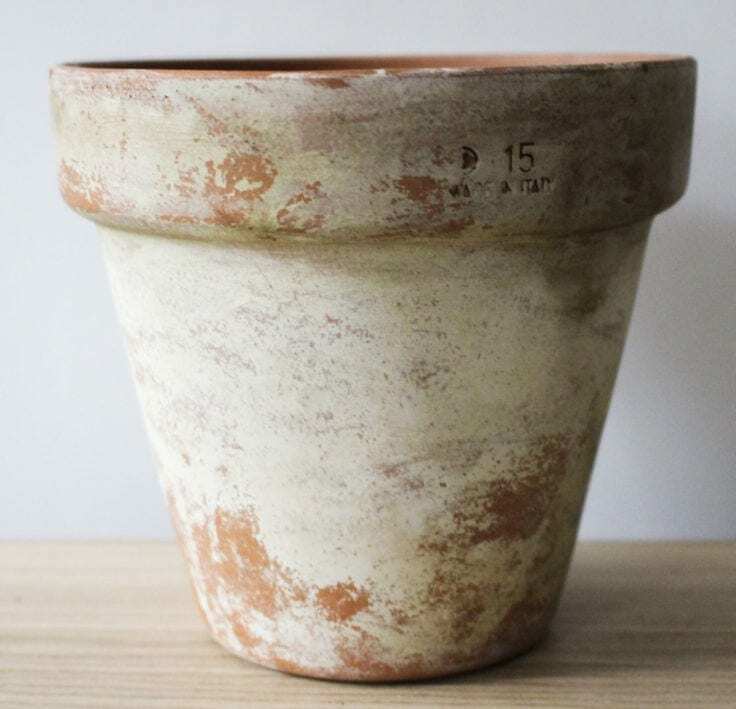 You don’t have to wait to get a gorgeous aged patina look to your terra cotta pots. 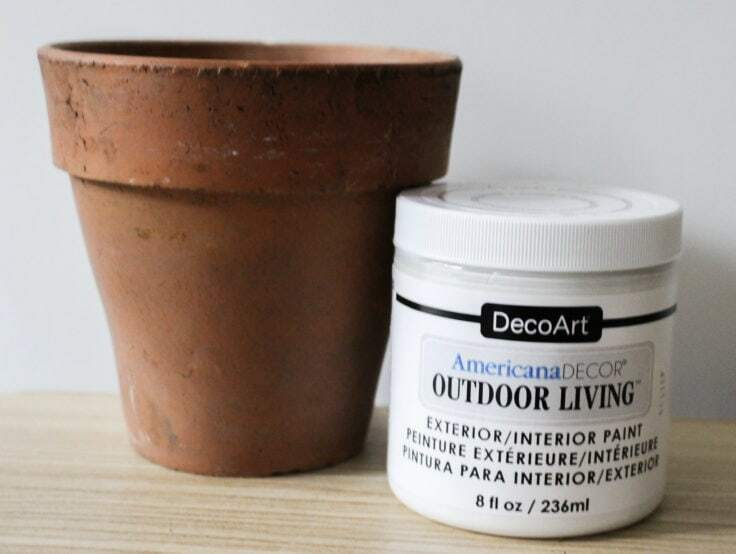 You can easily distress terra cotta pots with paint! Hello! I’m happy to be back at Kenarry sharing a home and garden project today. With Spring finally here, I am starting to think about getting the patio ready and the first thing I think of is placing pretty terra cotta pots on the stairs. I always want to jump into the decorating before anything else! 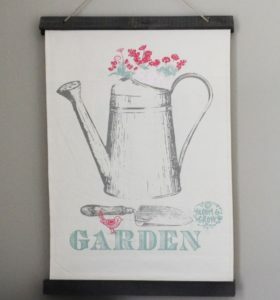 At Our Crafty Mom, I have lots of inexpensive home decor and craft ideas and hope you will stop by for a visit. 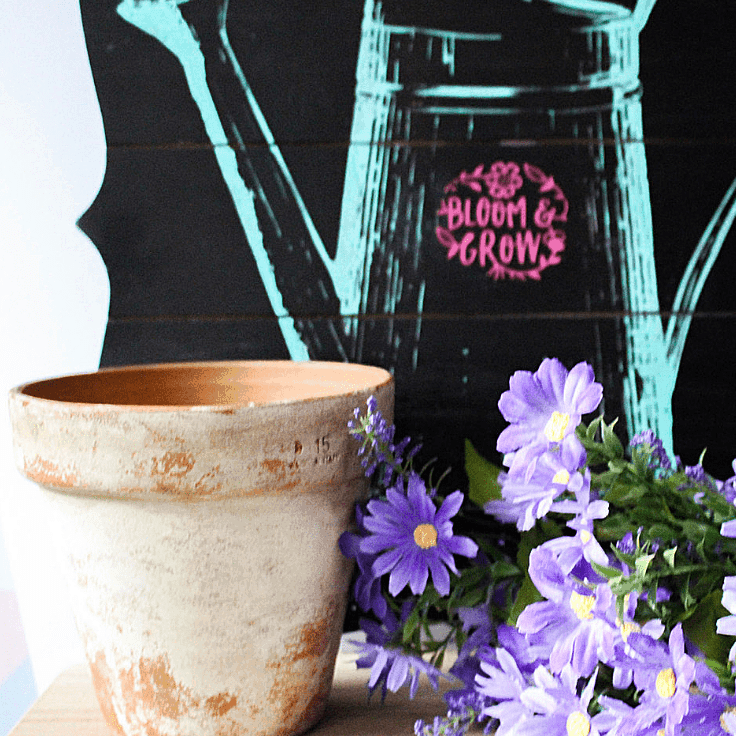 Today I’m going to show you how to distress terra cotta pots with paint. I love the look of distressed terra cotta pots, but they can take some time to naturally age. Since I am way too impatient to wait for that, I started distressing the terra cotta pots that I use, so they don’t look like they just came off the shelf. 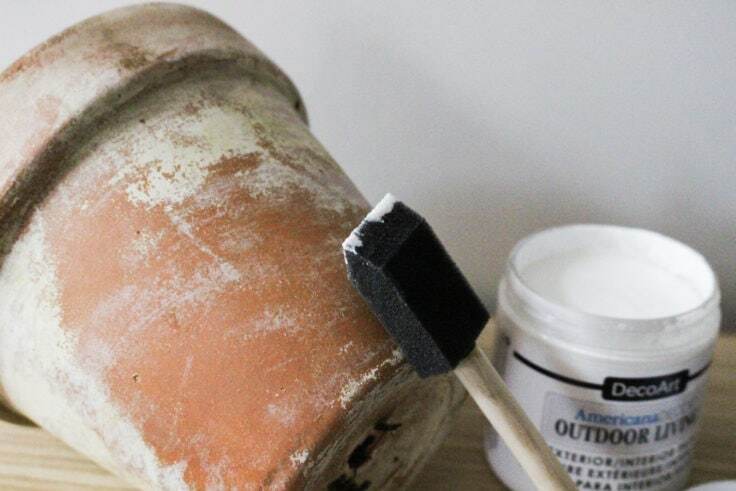 You’ll be surprised how easy it is to distress terra cotta pots with paint. Let me show you a simple how-to for this. The great thing about this tutorial is you really don’t need a lot of supplies. Use leftover paint if you have it. 1. Sand the terra cotta pot. 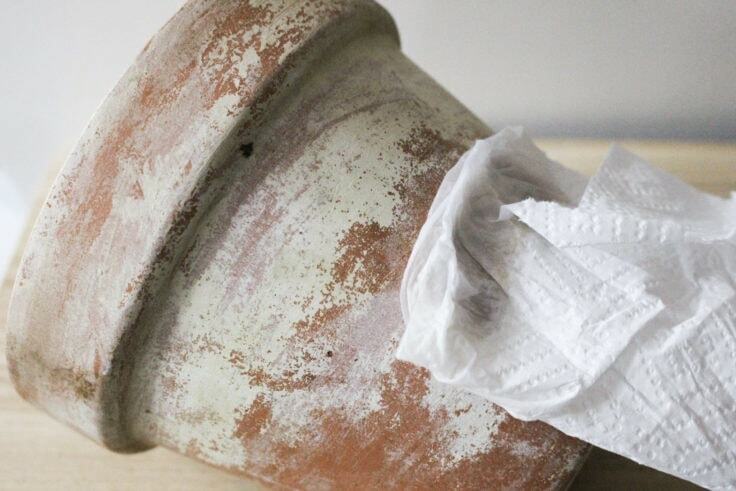 To get a distressed look, start by sanding the pot and really scuff it up. You can add nicks to it if you want like I did to really make it look like it has been sitting outside. A kitchen knife works great for this. Just be careful, as the pots are fragile. 2. 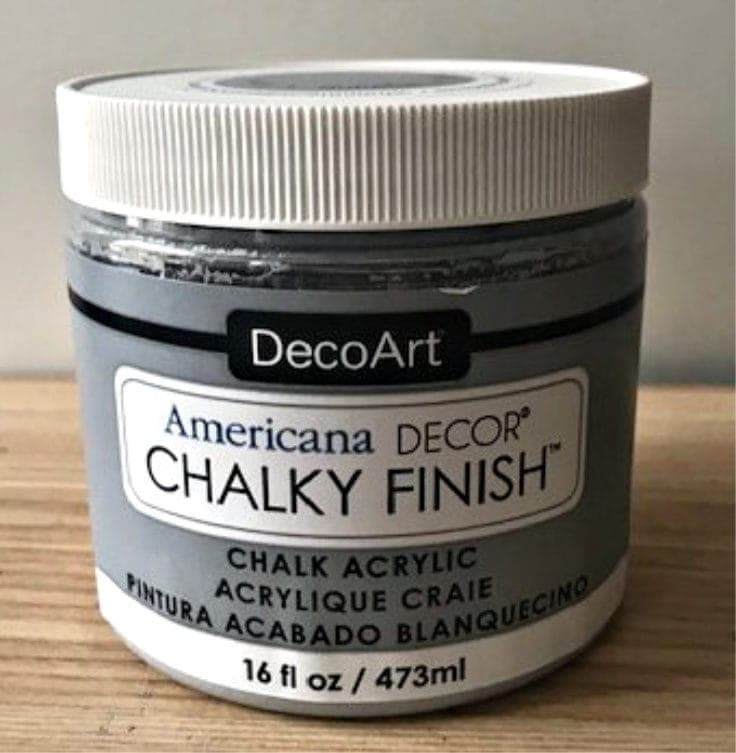 Add gray chalk paint. Next, add a tiny bit of gray paint to your foam brush and dab it on a paper towel. You are going to basically dry brush the paint onto the pot. Do not paint the entire thing and leave some of the pot without any paint. You want it to be a very light coat. Once the gray paint is dry, which should only take a few minutes, use the same process for the white paint. However, you want to add a little bit more of the white paint. You still will use the dry brush technique, but you want the white to really blend in with the gray. Again, leave some of the pot showing and use it sparingly. 4. Use wet paper towel. Finally, use a wet paper towel to go over the paint and blend it in. This will remove some of the paint and really create the distressed look we are going for. There is no right or wrong here. It is totally up to you how heavy you want the paint to be, or how light you want it to be. Just have fun with it and make it your own! 5. 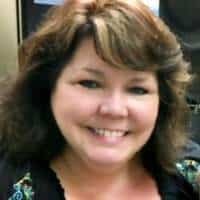 Add touch-ups if needed. To finish the terra cotta pot, decide if you want to repeat the process, or if you are happy with the outcome. Again, no two pots will look alike, and that is what you want. This is not meant to be a painted piece. I usually let the pot sit and come back the next day to see if I want to add any more distressing with sandpaper, or add any more paint. 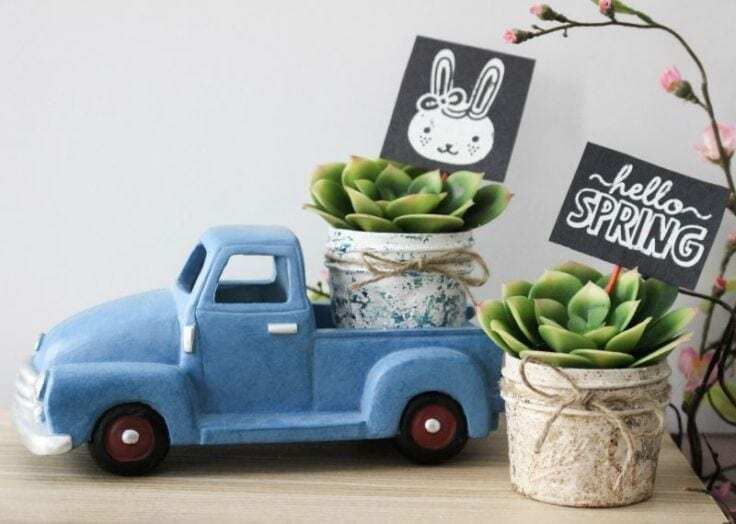 The most important thing when you distress terra cotta pots with paint or with any DIY project is to make it your own and enjoy the creative process! 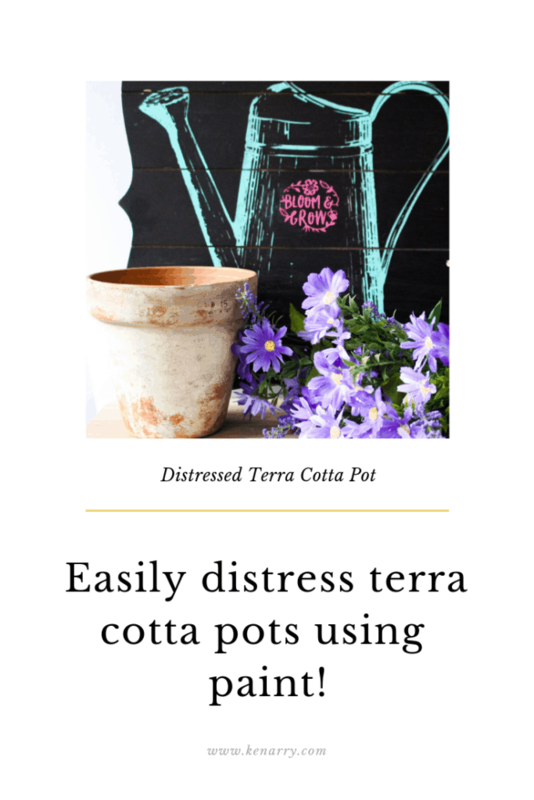 I hope you enjoyed this post on how to easily distress terra cotta pots with paint. 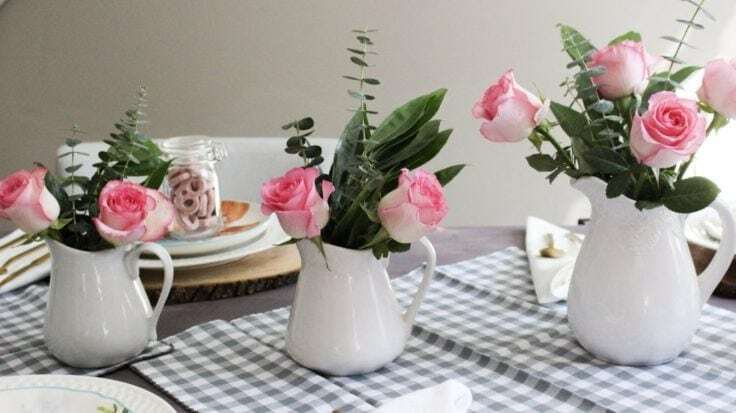 I always enjoy visiting Kenarry and look forward to sharing lots of Spring and Summer decorating ideas with you!